In addition to chocolate bunnies, marshmallow peeps, malt balls and colorful jelly beans, when I think of Easter I think of deviled eggs! 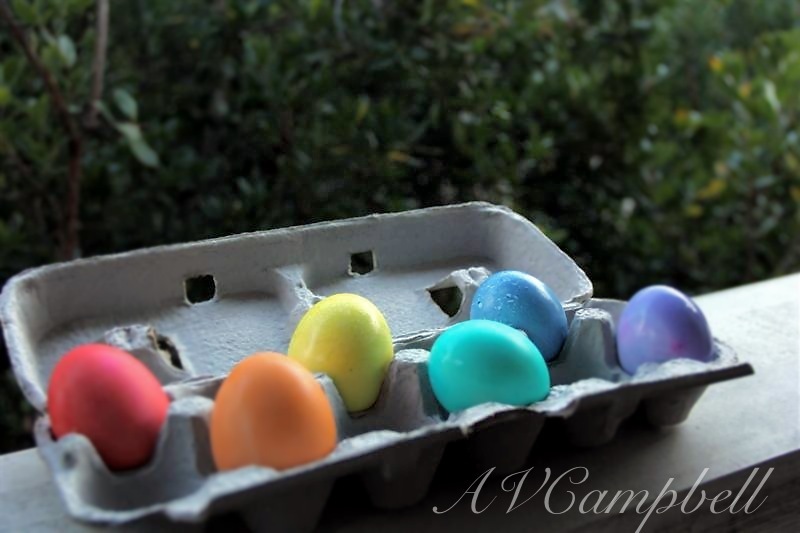 What better use for those beautifully dyed and decorated eggs strategically hidden by the Easter Bunny in tall grass, flower pots, within shoes and teetering on tree branches. I mean really, what is a kid supposed to do with a basket full of hard-boiled eggs anyway!? Not sure I can eat them now that they have faces!! 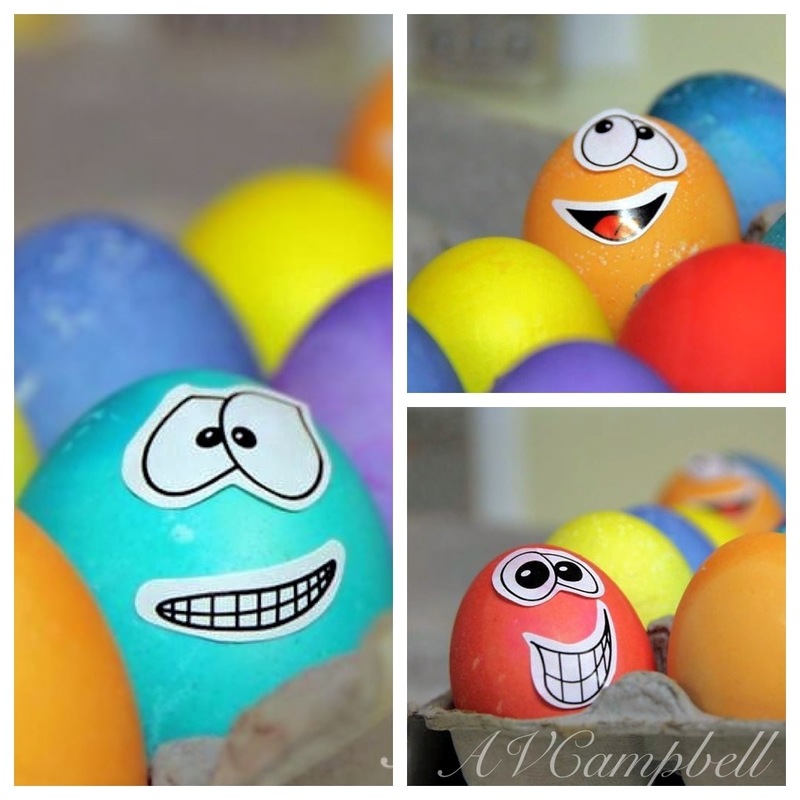 Peel, rinse and pat-dry hard-boiled eggs. Cut eggs in half lengthwise, placing egg yolks in small bowl and egg whites on a plate. Add to the bowl containing the egg yolks – mayo, mustard, onion flakes, dried parsley, capers, garlic powder, salt and pepper – all to taste. I go as light as I can on the mayo as I’m not a fan. Smash and mix with a fork until desired consistency is reached. Adding more mayo and/or mustard as needed to thin down. Spoon deviled egg mixture into egg whites and dust with paprika! 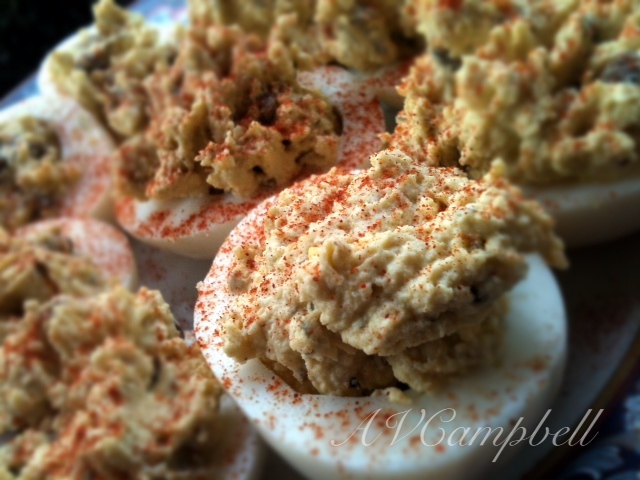 Deviled eggs never get old!! Try some backfin lump crabmeat, a little vinegar and replace the paprika with Old Bay.